Hi, I'm Jennifer Rose, a Birmingham Alabama Divorce Attorney and Certified Family Law Specialist. I founded this Alabama Family Law Firm to help families like yours, and mine. You see, as a former child of divorce myself, I know all too well the toll it takes on families because I've been there too. Being a divorce attorney has never just been a job for me, it's a passion. Here at The Rose Law Firm we have experienced Alabama divorce lawyers who will compassionately and aggressively fight for you and your family. As full time family law attorneys we're well versed in handling any Alabama Contested Divorce, uncontested divorce, child custody battle, alimony case, child support issue, divorce modification, or any other family law matter you may have. At The Rose Law Firm, Divorce and Family law isn't just Something we do, it's the ONLY thing we do. would be honored should you choose our family law firm to represent you with your legal matters. 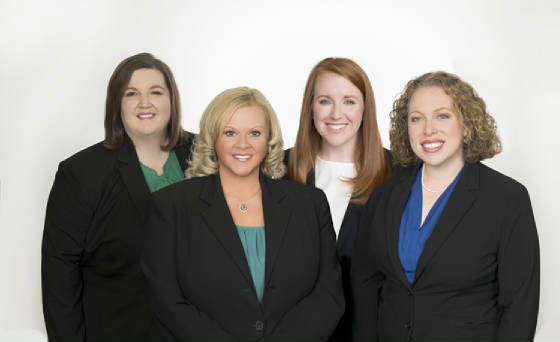 We're here to help guide you through all of your Alabama family law issues. Calls are answered 24 hours a day, 7 days a week, so your free, in person consultation can be scheduled right now. -----Initial in person consultations are always free. An Alabama Divorce Attorney will contact you within 24 hours or less guaranteed! Not sure what types of case you have? Click on the links below for a brief explanation of our different practice areas. Still unsure? Contact us and we will be glad to explain your options. Our number one goal is your satisfaction. If you need an experienced Birmingham Alabama Divorce Attorney who will fight for your family, contact us. If you have a family law matter and aren't sure how to proceed, call me for a free initial consultation or email me at Jennifer@theroselawfirmllc.com. The Birmingham Alabama Divorce Attorneys at the office of The Rose Law Firm, LLC provides quality legal counsel in Alabama divorce and family law, Alabama adoptions, Alabama Child custody, Alabama guardianship, Alabama wills, Alabama estate planning, Alabama child support, Alabama paternity, and Birmingham Alabama divorce modifications. We represent clients in Birmingham and Jefferson county along with it's surrounding areas including Shelby County, Chilton County, Pelham, Columbiana, Alabaster, Helena, Montevallo, Mountain View,Calera, Chelsea, Harpersville, Forstdale, Fultondale, Vincent, Hoover, Inverness, Indian Springs, Clanton, Jemison, Pell City, Leeds, Moody, Trussville, Vestavia Hills, Gardendale, Bessemer, and Adamsville.